Glenda Rose Hall-Marlow, daughter of Albert Hall & Cora Fertig-Hall was born on September 22, 1938 in Benton, Iowa. She departed on November 1, 2018 in Lodi, California at the age of 80 years old. Glenda was number 9 of 11 children and grew up in Benton Iowa on their family farm known as Happy Hollow. Glenda graduated from Benton High School in 1955 and moved to Des Moines Iowa where she got a job with the phone company. Glenda married Hugh Marlow on September 1, 1962 and moved to California. Glenda & Hugh welcomed their only daughter, Deborah, in 1963. Glenda was a loving and wonderful mother. Glenda worked hard and continued her education through the years. She obtained her AA and then returned to school to finish with an MBA in 1990. Glenda worked for Kaiser Permanente in Oakland California for 26 years. She was dedicated and worked hard and as a result, she reached the height of her career as the Department Head of KFRI, (Kaiser Foundation Research Institute) which provides support to regional research centers for all of Northern California. She officially retired from Kaiser in 1996. In 1975, Glenda and Hugh bought their first house in Union City, California where they lived until retirement. In 1985, and again in 1991, Glenda became a Grandma. She was a wonderful grandmother and was called "Nana". Upon retirement in 1996, Glenda moved with her husband Hugh to Ellston Iowa. They had a house built on Sun Valley Lake where they enjoyed family, fishing, boating & traveling. Glenda was glad to host family and shared her home with many. Glenda's husband passed in 2002 but she remained in their home on Sun Valley Lake. She loved it on the lake and could not see herself living any place else. Glenda enjoyed traveling and was often planning her next adventure. She continued this love until 2017, when she was diagnosed with Alzheimer's. In July 2017, Glenda moved to California to be close to her daughter & granddaughters. 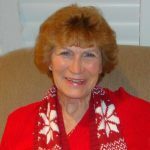 Glenda passed quietly on November 1, 2018 with family by her side in Lodi, California. Please do not remember Glenda by the disease that robbed her of her life, but by the way she lived and the love she had for family & friends. Left to cherish her memories are her daughter, Deborah Marlow-Legan (Michael) of Brentwood, CA; two granddaughters Cynthia Veach (Coby) of Lodi, CA and Andrea Billings of Concord, CA; sister and brother in law, Linda Gayle Liljeblad (Don) of Penn Valley, CA; sisters-in-law Estelle Hall of Mount Ayr, IA, Gail Hall of Dalzell, SC; numerus nieces and nephews. Glenda was loving, kind, generous, devoted, adventurous and one of a kind. She will be forever missed, and we will never forget her time on this earth.